The customs of how men regard the women in these Kansas towns are curiously old-world, and quaint. It took me many months to learn how to uphold my more contemporary attitudes without being influenced by the behavior and actions of this unique culture. My first puzzling insight into the male-female customs of Kansas was to notice that all the men had limited memories. Whenever I was introduced to a married woman, I was never told her name. The husband poked a thumb toward some female standing behind him and referred to her as “the wife.” I assumed he had forgotten her name. At one time, when I was still being invited to house parties, I avoided even minimal conversation with women. Not because my wife, Celia Ruth Bishop, was with me and might misunderstand my intentions. I avoided these women because I thought they all had some dreadful and contagious disease. Else why were they not allowed to co-mingle with the men who were loitering about, drinking beer, talking about sports or hunting, and using pocketknives to clean grease and cow dung from their fingernails? I keep promising myself to try using some of the Kansas customs that afford the men such remarkable privileges. I wonder if I should force my wife, Celia Ruth Bishop, to cultivate a taste for cold food. I have been in Kansas homes during the dinner hour and the men are seated at the table, vigorously eating, while the women are still serving. The men are halfway through the meal when the women are ready to eat food that has begun to cool. The men finished eating before the women, release a gusty belch, pat their enlarging bellies, then leave the table to turn on the television. The women finished eating alone. I suppose some marital counselor or sociologist or anthropologist will declare that no individual is responsible for what another individual becomes. We fashion our own lifestyle and personal methods for meaningful gratification. Theoretically, the theme is valid. But realistically, this academic vision into human behavior is dumb. If someone keeps walking all over me, and keeps walking all over me, and I am given no helping hand on how to rise to stop them from tramping down my life, then he has converted me into his private foot-wiping mat. I’ve come to understand that it is now customary for the adult males–fathers in particular–to dislike young Kansas females. They believe their daughters are disloyal to their state. “No more than spoiled brats is what they are!” Through various forms of media these young females have determined that they do not have to be treated like their Kansas mothers are treated–slabs of meat to be used as some convenient appetite relaxant whenever the mighty male comes to the counter. The men are right. These traitorous females leave Kansas for states that accord women the prestige they deserve. The men are right, yes. Not because they are reasonable and intelligent, but because they are men. Being born a male in Kansas means you have the symbol that affords you the right to always be unquestionably right. I’ve carefully researched some guidelines and wisdoms the Kansans men adhere to. They are comforting and interesting. Women are emotional and men are logical. Because men can lift heavy objects, during a crisis women become hysterical. Men are not built for staying home to raise children and women are ox-like in temperament and like to cook and do laundry. No matter what the liberationists and the incendiary feminists think, it’s still a man’s Kansas, and a woman’s place is in the home, where the dumb broad belongs. How delightfully medieval. Another custom followed by Kansas men is to marry comely women and then work them into drabs. Tend to the kids and see to the house. Some females are allowed to take on full-time jobs to supplement the males in adequate earning prior power–then come home to tend the kids and see to the house. In 7 to 10 years the women become grim looking, puffy drudges, about as sexual as discarded bubblegum. That is the signal for the male to begin ogling the younger, still naïve females to indulge in lecherous liasons while “the wife” is dragging up the kids and dredging through the house. The women in Kansas earn their keep but they are being paid below-the-minimum wage. The Kansas male attitude to the female person, to her integrity, her dignity, her humanity, is unbelievably cruel and stupid. This entry was posted in family, History, slice of life and tagged cruel treatment of women, sexism in Kansas, What's the Matter with Kansas. 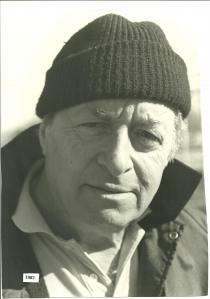 Leonard Bishop. Bookmark the permalink.